Democracy at NUS is how we choose our leaders and derive our legitimacy to speak on behalf of our members. So the stronger our democracy, the stronger our voice. This is of course also true for students’ unions. However, in recent years, students’ unions have taken brave leaps forward, successfully experimenting with different forms of democracy to bring themselves closer to their members. It is now time for NUS to do the same. Passing the 12 principles for a better democracy at our sovereign decision making body National Conference was the first step in this process. On Wednesday last week we began to think about the next steps: a group of staff and officers from students’ unions and NUS made the most of the (temporary) sunshine to get out to Gilwell Park and do some big creative thinking about what these principles might look like in practice. After icebreakers and a reminder of the research we’ve done so far, the group were given time for personal reflection. Everyone drew their vision for a 21st century democracy and photographed something that illustrated how they felt about our decision-making. Despite multiple claims of “not being able to draw” these visual representations showed a common sense that people felt NUS democracy is too confusing, disjointed and removed from students and students’ unions. Consider capping the number of policies that can be set in any one year. Having a process that identifies a priority issue (e.g. mental health) then having a separate process that enables different groups to work through what action they take on it. This is all really early days. So some, none, or all of these ideas may stand up to further interrogation. However, the group were clear that in order to get the democracy we want, a 21st century democracy that works for all our members, we have to be bold and make some major changes to the way we do things. This means working together, suspending cynicism and thinking differently. NUS already challenges what so many people think is possible, it’s time to do it with democracy. 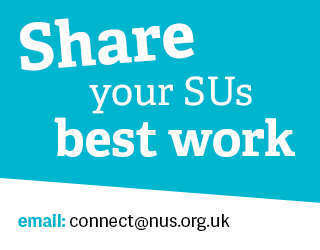 If you’ve got ideas you’d like to share or would like more information drop me an email on James.Robertson@nus.org.uk. Our brifing on 'democratic innovations from around the globe' is available to downliad via NUS Connect here.